Google is finally expanding its Google TV ad service beyond the Dish satellite network, its initial partner for the past two years. Today, it announced a new partnership with DirecTV, the rival satellite TV network controlled by News Corp. The two satellite networks together give Google ads a combined reach of 30 million homes, which is starting to become meaningful. 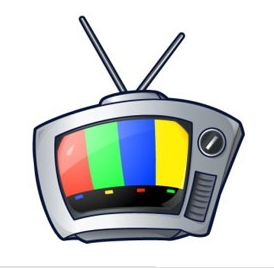 Google puts software on the set-top boxes to help it target TV ads in a more granular fashion. It is not clear whether these ads actually perform better than run-of-the-mill TV ads, but Google has partnered with Nielsen to provide demographic data for the audience it reaches with its ads. Gaining a second major partner is a big step for Google, and it took two years to do it. (Other than these two, a handful of cable channels are also partners such as the History International, Hallmark, Hallmark Movie, Bloomberg, and the Tennis Channel). The satellite networks are generally faster to adopt newer technologies than the cable networks. For Google TV Ads to become more than a side-project, the cable networks will have to sign up as well, and they are a little more fearful of turning data over to Google. But if these ads start to perform better than typical broadcast ads, or even some of the targeted ads cable companies are experimenting with on their own through companies such as Black Arrow, then they may buckle and start showing Google TV ads. That is exactly what Google is hoping for—that it can deliver better ads with better data.